The beautiful world of nature never ceases to surprise me. 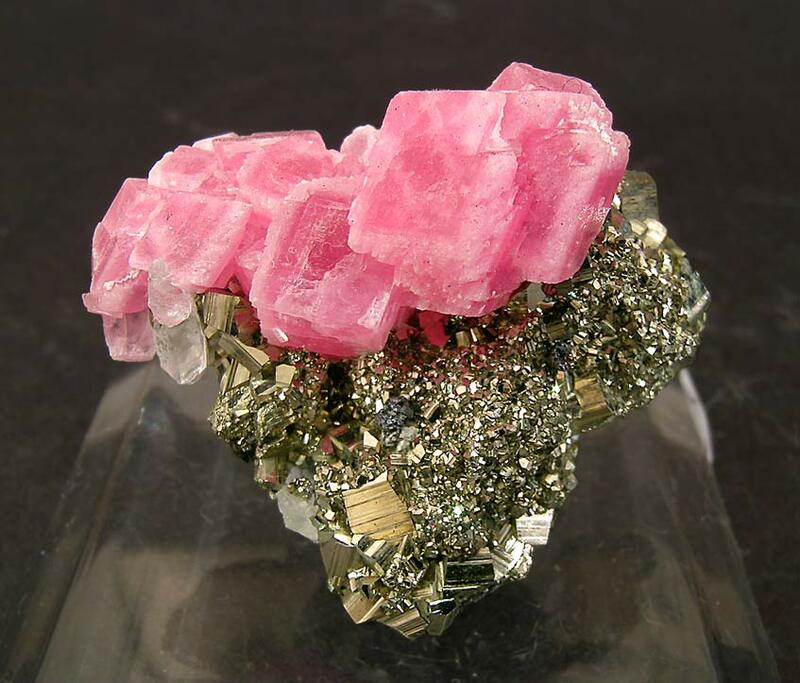 The combination of pink Rhodochrosite and the golden Pyrite on which it sits looks like some form of offering. With the extra features of bevelled edges and the light color zoning of the Rhodochrosite make, especially given its simplicity, this one even more beautiful.